This Marie Curie Action, called PDS4NRJ, is based on the insights that (a) secure personal data management can be radically improved with the advent of secure hardware embedded on personal devices at the edges of the Internet, and that (b) a secure personal data management infrastructure should be applied in the context of smart (residential) buildings. Our overall objective is to define a new form of decentralized infrastructure for sharing smart meter data with access and usage control guarantees. To meet this ambitious objective, the fellow will rely on the synergy that exists between this Marie Curie project, the newly started Energy Futures initiative at IT University of Copenhagen (ITU) focusing on the socio-technical aspects of Energy&IT, and the large-scale, multi-disciplinary INRIA initiative CAPPRIS focusing on privacy by design and the application of privacy enhancing technologies, started in March 2012. My contribution to PDS4NRJ is designing and implementing a Trusted Cell  combining available hardware and open software. So far, we have the framework that will serve our Trusted Cell . At the moment we have a first prototype and are working on the final architecture to proceed with its implementation. 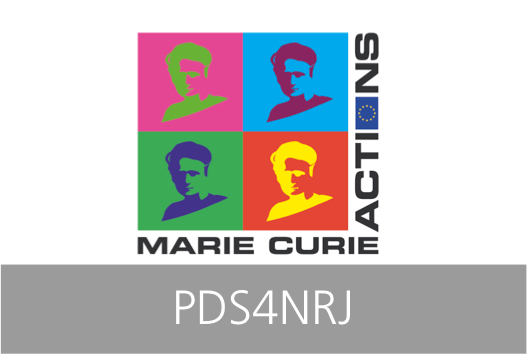 The PDS4NRJ project is led by Philippe Bonnet as researcher at Inria Paris-Rocquencourt in the SMIS group. In the period from august to december 2013 I am also stablished at Inria Paris-Rocquencourt in the SMIS group as a visiting researcher, working together with Philippe in the Trusted Cells. This will be a big part of my Ph.D thesis. Nicolas Ancieaux, Philippe Bonnet, Luc Bouganim, Benjamin Nguyen, Lulian Sando Popa, and Philippe Pucheral. Trusted cells: A sea change for personal data services. CIDR, 2013. Javier González, Philippe Bonnet. Towards an Open Framework Leveraging a Trusted Execution Environment. TrustData’13, 2013.